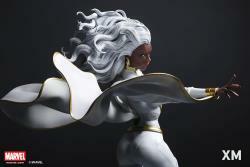 XM Studios is excited to present our next Marvel Premium Collectibles series statue, Storm! 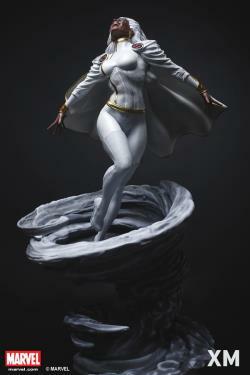 The goddess of weather and a key member of X-men is immortalized in amazingly detailed 1:4 scale cold-cast porcelain. 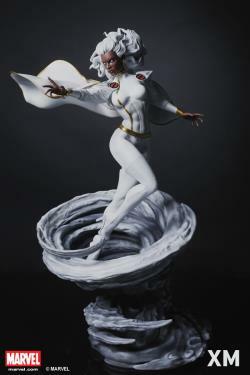 Each painstakingly handcrafted statue is individually hand-painted with the highest possible quality finish. 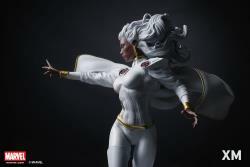 Display Storm in a destructive mode calling on the powers of wind and tornedo to sweep her enemies away, or choose the alternate pose for a completely different mood where Ororo is seen in high spirits, relishing in her powers of flight and wind. 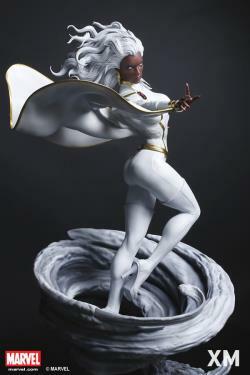 Born Ororo Munroe to a tribal princess of Kenya and an American photojournalist father, Storm is raised in Harlem and Cairo. She was made an orphan after her parents were killed in the midst of an Arab–Israeli conflict. An incident at this time also traumatized Munroe, leaving her with claustrophobia that she would struggle with for life. 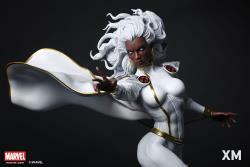 Storm is a member of the X-Men, a group of mutant heroes fighting for peace and equal rights between mutants and humans. Under the tutelage of a master thief an adolescent Munroe became a skilled pickpocket, the means of which she meets through coincidence the powerful mutant Professor X. Professor X later convinces Munroe to join the X-Men and use her abilities for a greater cause and purpose. 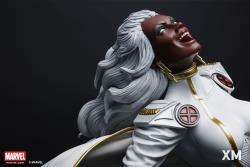 Possessing natural leadership skills and formidable powers of her own, Storm has led the X-Men at times and has been a member of teams such as the Avengers and the Fantastic Four as well. 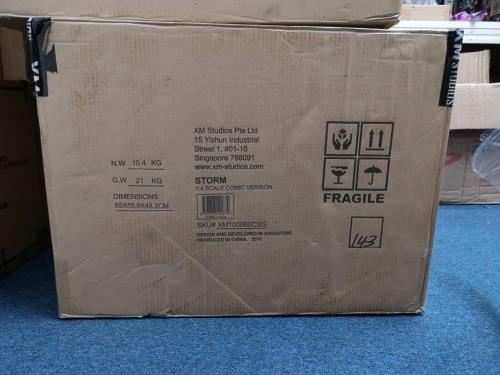 "Thanks for the great packaging & fast shipment. Arrived in good condition." "if I complain, it would be when I am your competitor, complaining that you are too good, and better hahaha"
"Item received with fast and prefect condition, thanks"